How Are You Celebrating National Hotdog Day? Summer would not be summer for me without one grilled to plump perfection. I used to eat them way too often as a kid, annnnnnddddd I probably still do as an adult. I prefer Hummel’s (and Hebrew National’s and Nathan’s are tied for second place when a Hummel can’t be found). And my absolute favorite way to eat one is plain, on a slightly doughy bun. Maybe that’s boring, or maybe that’s me being a purist. But, then again, cheese, chili, and bacon do bring a hotdog to a whole new level you have to respect and occasionally indulge in! 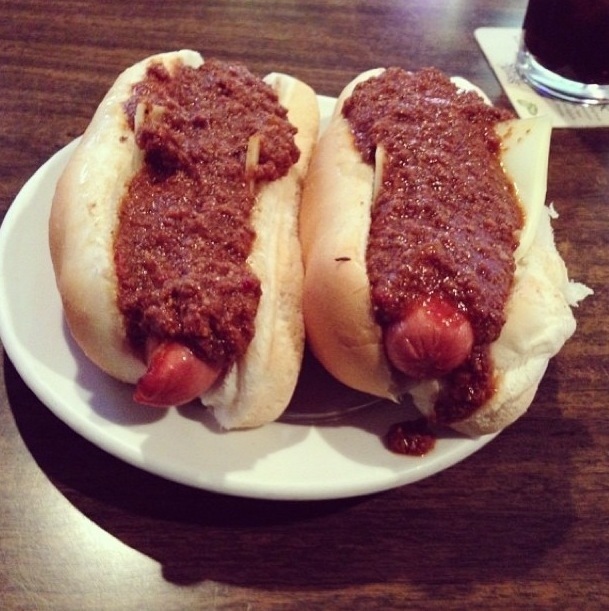 In honor of National Hotdog Day and one of my favorite foods, I give you the Windmill hotdog with Windmill’s chili (think Coney Island dogs if you aren’t familiar with this classic Connecticut food spot, which you can read more about here.) When I’m craving a hotdog this is where we go. Do you want a hotdog now, cause I sure do! What’s your favorite way to eat a hotdog?